Join Tucker Wildlife Sanctuary for their most popular annual event, the 7th annual Bat Night! The Sanctuary will be aglow up with thousands of twinkling lights – making it the perfect setting to discover the wonder of these nocturnal animals. Learn why bats are so important and why we need to protect them. Admission to the sanctuary on Bat Night will include the following activities: arts and crafts, games, live animal demonstrations and a family friendly interactive Bat program that will begin at 4:30 pm. and again at 6:30 pm. Other activities available for a fee are: Face painting, pumpkin craving, wagon rides and a BBQ dinner. (see their website for more details). A Post Event Program will begin at 8:15 pm for adults 18 and over. When: Saturday, October 17, 2015 from 4:00 – 8:00 pm. 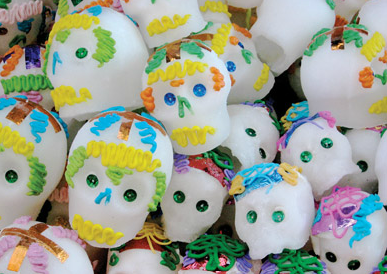 Sunday, November 2, 2014 Bowers Museum FREE First Sunday will celebrate Dia De Los Muertos “Day of The Dead” Festival from 10:00 a.m. – 4:00 p.m.
Free admission to limited engagement exhibitions is limited to the first 1,500 people on a first come, first served basis. Each recipient must be present. Tickets can be picked up in the North Wing. Free admission is also included to Bowers Museum permanent exhibitions including: Sacred Realms: Temple Murals by Shashi Dhoj Tulachand; Spirits and Headhunters: Art of the Pacific Islands; California Legacies: Missions and Ranchos; Vision of the Shaman, Song of the Priest; California: The Golden Years; Ancient Arts of China. For more information, contact 714.567.3600. Another Family Friendly option for Halloween in South County is the Harvest Festival at Calvary Chapel South Orange County in San Juan Capistrano on Friday, October 31st, 5 to 9 p.m. at Buchheim Field. 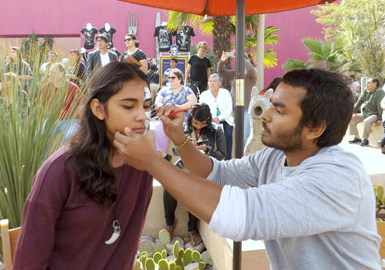 This FREE event features rides, games, face painting, candy, food trucks, live entertainment and more, This family event is open to the public. Calvary Chapel South Orange County is located at 31522 El Camino Real, San Juan Capistrano. Ghostly creatures take to fright for this 3rd annual spooky family Fun Zone night on Friday, October 24, 2104 at ExplorOcean in Newport Beach. Come to this BOOtiful evening of costumes, pumpkins and candy, Oh My! Trick-or-treat at the Fun Zone! Enjoy spooky storytelling, kooky crafts, face painting, spooky & slimy lab activities, plus live entertainment for the entire family! No tricks, just treats with this FREE admission event! Park your broomstick at ExplorOcean on Friday from 6-8:30pm! Discover the creatures lurking in the depths at Scarium of the Pacific—a spooktacular educational Halloween event for the whole family. Enjoy special Halloween programs, including the annual children’s costume contest, the creepy coloring contest, face painting, magic shows, underwater pumpkin carving, spooky storytelling, kooky crafts, eerie animals in the Great Hall, and much more. COST FREE with general admission. FREE for members. Members’ guests receive 20% off admission. COUPON Print and bring this flyer to receive FREE admission for any child in costume, up to 11 years old. Limit 4 discounts per flyer. See flyer for restrictions. Valid Oct 25-26, 2014. TICKETS General admission is required. You can purchase tickets online. Members get in free. No reservation needed. Join Tucker Wildlife Sanctuary for their most popular annual event! 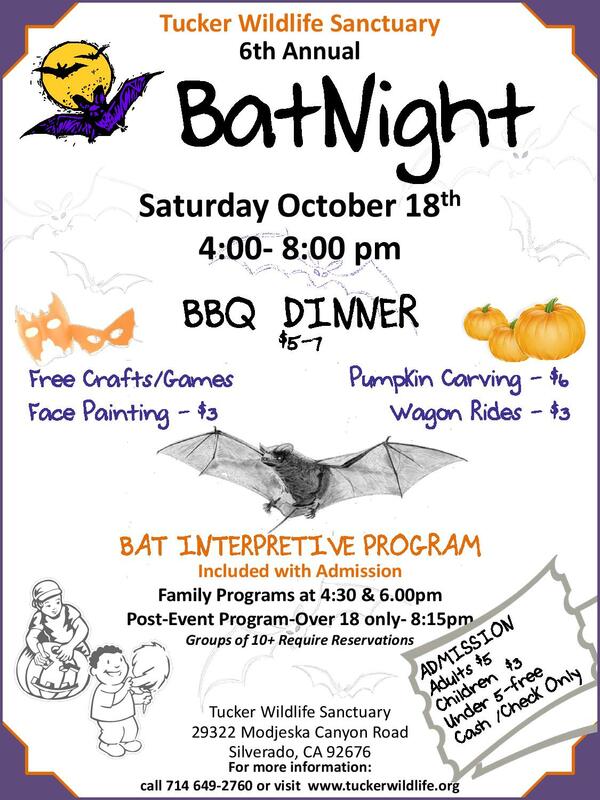 The 6th annual Bat Night will be held on Saturday, October 18, 2014 from 4:00 – 8:00 pm. Included in the admission fee will be crafts and an interactive family program that will begin at 4:30 pm. and again at 6:00 pm. Face painting, pumpkin craving, wagon rides and a BBQ dinner will be available for an additional fee. Date: 4:00 – 8:00 pm. This year, the Italian Cultural Arts Council invites you to celebrate Italian Heritage Month with two honorees A.J. Tony Coco and Bernadine Liuzzi Neil. Tony is a Commissioned Intelligence Officer, Naval Reserve [Fleet Intelligence Center, Hawaii]. He is now retired with the rank of Lieutenant Commander from the Navy. Tony has been an active member of the Sons of Italy over 40 years having been recruited by the founder of the Tustin Orange Lodge Vincent Licata. He is currently serving as the Orator of the Renaissance Lodge No. 2259 and has the distinct honor of having been a founder of the Orange County American Italian Renaissance Foundation. Bernadine has been an active member of Order Sons of Italy in America for over 10 years. She has been part of the organization through her grandfather since 1945, is an active member of the Orange County American Italian Renaissance Foundation and the Italian Arts Council, an affiliate of Bowers Museum, and is currently Recording Secretary of Renaissance Lodge No. 2259. We are honored to have Tony and Bernadine join us at the Bowers Museum. The Columbus Celebration event will begin at 10 a.m. featuring color guard, anthems, wreath ceremony at the Christopher Columbus Monument, special Italian treats and guest speakers, including Joseph Ferrucci, Esq, President, Orange County Italian Lawyers and other Italian dignitaries. The afternoon celebration will continue with live musical performances of romantic and uplifting traditional songs from Italy and modern tunes from around the world. Dance and sing along in the historic mission-style Key Courtyard beginning at noon. There will be a special marionette puppet show in the Norma Kershaw Auditorium beginning at 1 p.m. for children’s entertainment. Free admission to special exhibition HEAVENLY HORSES: TWO THOUSAND YEARS OF CHINESE AND JAPANESE EQUINE ART is offered on a first come, first served basis. Free admission is also included to Bowers Museum permanent exhibitions, Kidseum and limited engagement exhibitions including: Sacred Realms: Temple Murals by Shashi Dhoj Tulachand; Spirits and Headhunters: Art of the Pacific Islands; California Legacies: Missions and Ranchos; Vision of the Shaman, Song of the Priest; California: The Golden Years; Ancient Arts of China, and Framed: Step into Art at Kidseum. Kids love Kidseum! They can write their names in ancient langues using rubbing techniques, explore other cultural’s being dressing up, exploring instruements from around the globe and put on mushs. There are fun Arts & Crafts, Archaeology Digs and Discovery. The Bowers Museum is located at the corner of 20th & Main Streets in Santa Ana – one minute from the 5 freeway, (Main St. South exit) and just minutes from the 57, 55 and 22 freeways. Kidseum is located on the corner of 18th and Main Streets – south of the main Bowers Museum. Parking is available in a well-lighted conveniently located area, adjacent to the Museum. Wheelchair accessible. Parking: Lots are available directly north and south of the museum for a $6 fee. Nearby metered and timed street parking is also available. 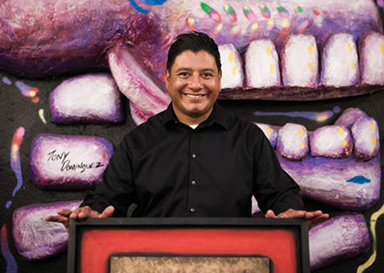 Bowers Museum Members have the exclusive opportunity to purchase an Annual Parking Pass for $20.